We lined up 5 wine cork crafts tutorials which will show you how to make inexpensive decorations or gifts. DIY wine cork crafts aren’t just inexpensive. They’re also clever and creative. Things to make with wine corks range from home decorations to jewelry to children’s toys and useful household staples. Our creative wine cork crafts ideas include a bathmat, monograms, wine cork coasters, air planters and cute toys. Gather the wine corks you have around the house (or buy them online) and let’s get started. For each DIY wine cork crafts idea, we’ll provide an extra list of necessary items. Enjoy! Step out of the shower on this (potentially life-saving) easy to make wine corks bath mat. It will up your bathroom decor in no time. Plus, a wine corks bath mat gives you the opportunity to upcycle and create a household item which is more environmentally friendly than store-bought ones. A hot glue gun + hot glue sticks. Sand paper and clear coating for the final touches. Cut the wine corks in half, lengthwise. Cut the shelf liner to the dimensions you wish your wine cork crafts bath mat to have. Fix every wine cork with hot glue on the surface of the shelf liner. Get creative with the patterns. Use the sandpaper to smooth the surface of your bath mat. Apply clear coating to prolong the life of the wine cork bath mat. Cardboard or unfinished wood monogram. Hot glue sticks + hot glue guns. As most crafts with wine corks, this too requires the minimum time investment. Here is how to create your own wine cork monograms step-by-step. Cut out the cardboard monogram support. If your sketching skills aren’t too impressive, use a printed outline overlapped on the cardboard. Glue the wine corks to the cardboard support. Make sure the wine corks are glued very close to each other so that the cardboard doesn’t show. Glue them on the round side so that the entire length sticks out. Optionally, you can use watercolors or acrylic colors to paint the wine corks monograms in your favorite colors. Use satin ribbons or any other decorations for a more personalized look. Wine cork coating or protective oil. Glue the halves flat side down to the interior of the photo frame. Apply coating or protective oil with a thin brush. 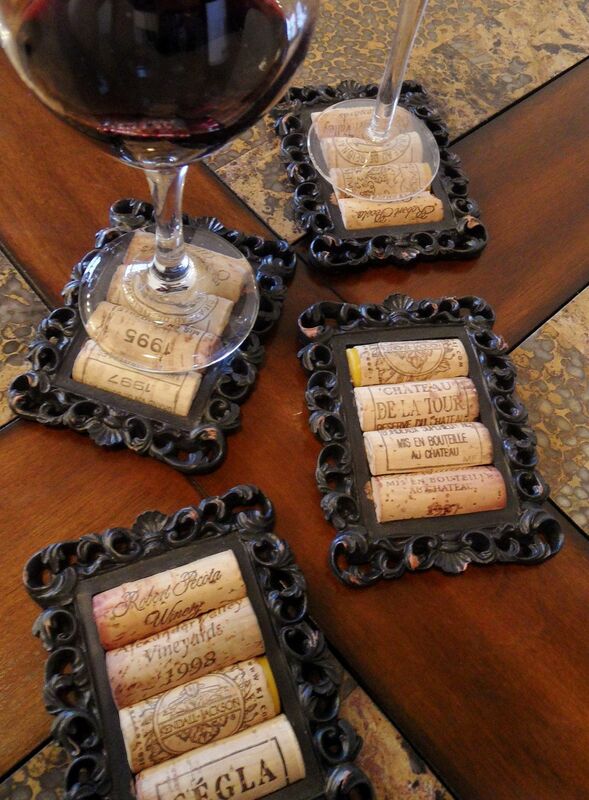 Use these gorgeous wine cork coasters any occasion you get. A well-sharpened knife, a carving knife or a screwdriver. Are you wondering how the tiny cork planters are made? Here is your easy guide to one of the most amazing wine cork crafts. Carve the interior of the wine corks using any of the sharp tools above. Make sure that the margins of the wine corks aren’t cracked in the process. Glue the magnets to the side of the carved wine corks. 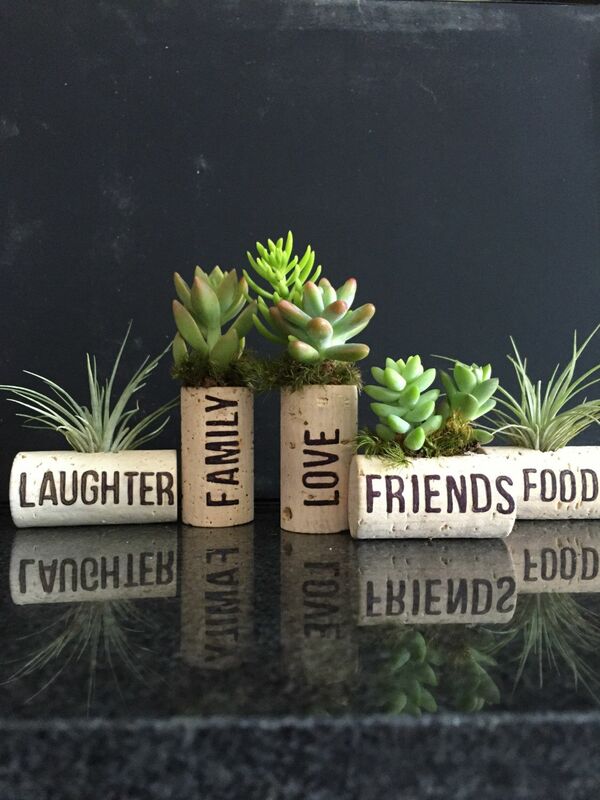 Add a bit of soil and the succulents in each of the wine corks. Voila! Now you have your own floating garden made entirely out of upcycled wine corks. 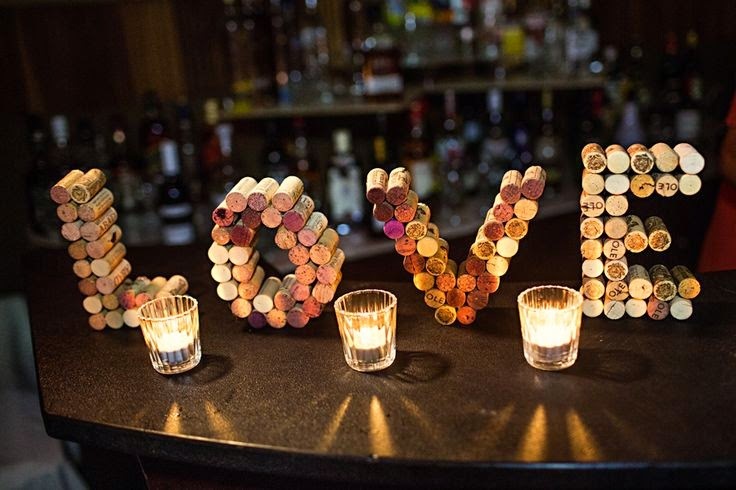 Isn’t this one of the best crafts with wine corks you have ever seen? Your kids will love these wine cork crafts beyond the shadow of a doubt. They’re easy to make, they’re super cute and fun. Depending on the wine cork toys you want to make with your kids, you will need a variety of items. As such, consider adapting the list with the crafts kits you might find necessary. Colorful beads, ribbons or any other decorations you might find useful. Cut the wine corks one by one, shaping the different parts of the toys. We recommend that you take charge of this step to ensure the safety of your little ones. Use the wire to connect the wine corks and wine corks segments. Use the beads, paint and decorations creatively to bring the toys to life. These wine cork crafts can be used as Christmas tree ornaments. For instance, a wine cork reindeer is a cool Christmas-themed ornament which your kids will adore making. Each of the 5 wine cork crafts ideas and tutorials offers plenty of room for adaptations and more personal touches. Wine bottle cork crafts are quite versatile no matter what DIY wine corks project you’re looking at. Just check any of the Pinterest cork crafts and you’ll see what we mean. The best part about wine cork crafts is that they make inexpensive personal items that you can use around the house or give to your loved ones. Some projects can even bring the entire family together as they’re super fun to make.